Home » What's New » Our Web Store is Open! We are pleased to announce the launch of our Web Store. 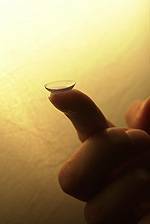 If you are a contact lens patient, you can register to order your contact lenses online to be delivered to your home, your work, or even your dormitory. If you would like more information about the convenience of this online service, please contact us and we'll get you signed up.